Our mission is to investigate human minds and behavior based on cognitive science and to apply our results to develop and design better computer systems. Research has been carried out by (1) examining human cognition and behavior via experimentation, (2) creating models that can be run on computers, and (3) developing computer applications and software that are driven by our results. Evaluations of such systems help us understand the validity of the models and provide new insights into how to design systems. 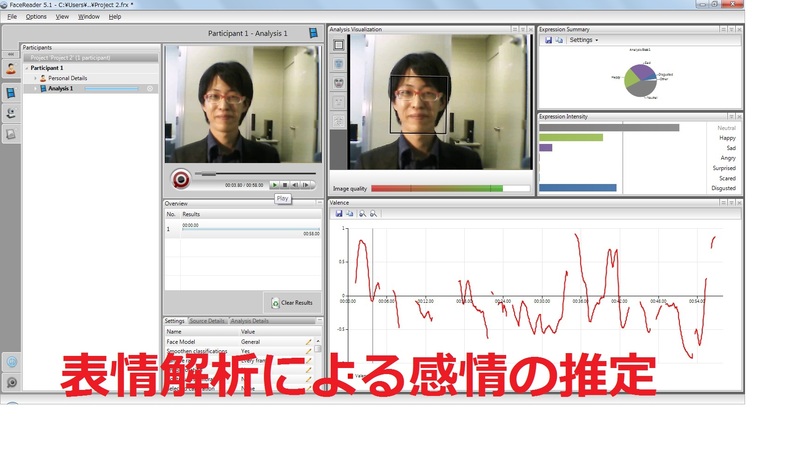 To understand cognition and behavior, we have conducted various types of analyses such as verbal (protocol analysis) and eye-movements, facial expressions, and pulse rates to understand emotional states. 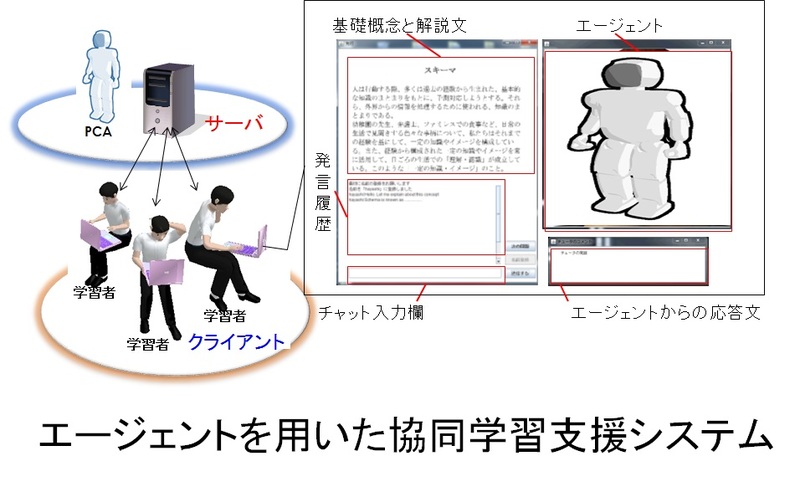 We have developed computer applications such as embodied conversational agents and web-based learning systems, which incorporate intelligent systems such as pedagogical agents. The following shows examples of representative studies that have been performed in our lab. “Two heads are better than one.” New knowledge can be generated by the collective knowledge of groups through collaboration. However, past studies have shown that simply adding manpower to a group may not facilitate its performance. It is important to consider the types of interactions that may facilitate the activity within the group. Multiple studies in cognitive science using field studies, experimentation, and computational simulations have shown what types of interactions facilitate performance during collaborations. In our lab, we investigate collaborative problem solving in groups with members that have different perspectives and see when and how these different perspectives can become a powerful source to facilitate the group’s problem-solving performance. 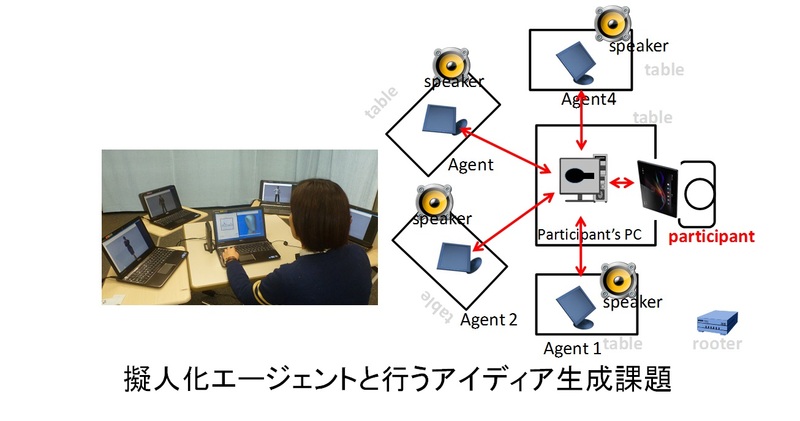 We also use conversational agents as experimental tools to control the conversational behaviors of the collaborative members and to specify the effective interactions in collaborative problem solving. Reflecting on one’s behavior may provide an opportunity to discover things that one has not considered in the past. Mental activities such as looking back and re-evaluating one’s activities are known as metacognition. Metacognition is widely known to be effective in various everyday activities such as knowledge-building, decision-making, and communication. 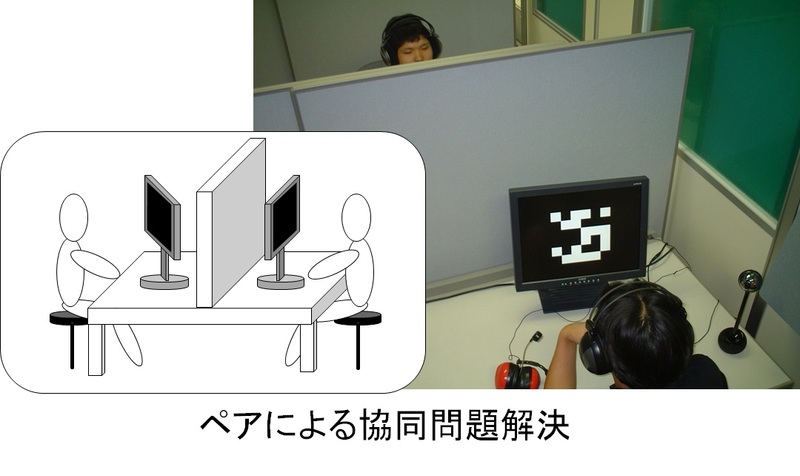 In our lab, we focus on how to facilitate metacognition in computer-based learning situations. In particular, we focus on the use of intelligent systems that monitor the learner’s activity and provide adequate metacognitive suggestions. This study shows how effective learning support systems are based on human cognitive models, and this is one of the most important methodologies in our lab. With the development of information and communication technology, various types of intelligent systems have appeared in our daily lives, such as cleaning robots and entertainment androids. These technologies can be used in various fields such as medical care and education. 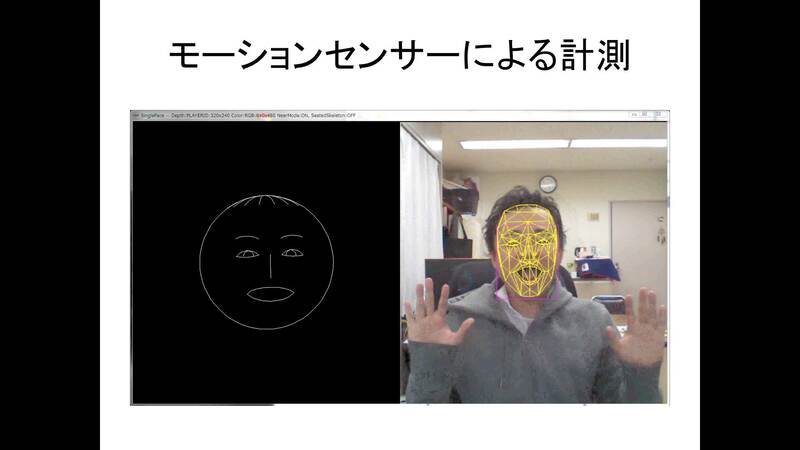 Artifacts that can behave autonomously are known as agents, and the research field that studies the interactions between humans and agents is known as Human?Agent Interaction (HAI). This new field examines how to design agents and when humans feel comfortable working collaboratively with these agents. These studies also provide fundamental insights into how humans interact and communicate with others and the external world. Human creativity has long been a mystery, and many scientists and artists have considered this mysterious process. Recently, in cognitive science, there have been studies trying to empirically investigate creativity, and research has been conducted in engineering and informatics to develop systems that support human cognition to facilitate the creative process in the mind. 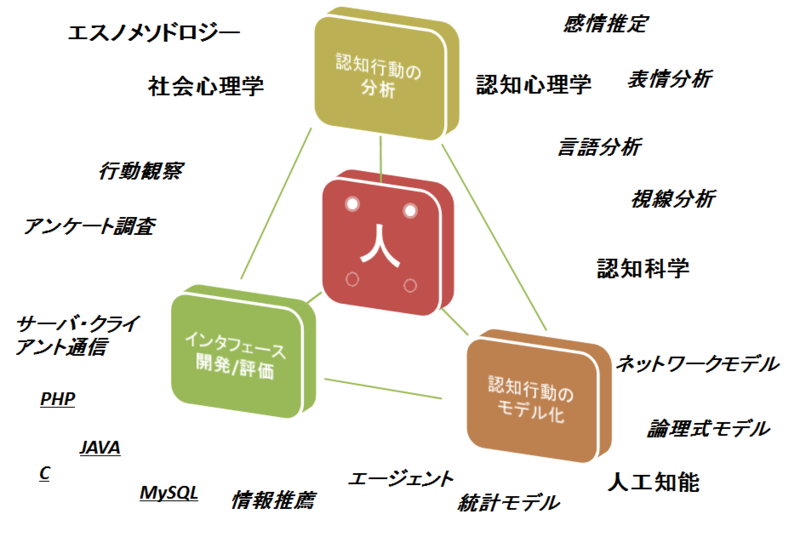 In our lab, we focus on the human idea generation process and consider how collaborative computer systems that trigger knowledge can promote better idea generation. Via the sematic web, data can be transformed and labeled into meaningful datasets for users. Studies developing online recommender systems aim to develop systems that reduce the cost and uncertainty associated with determining the optimal product to purchase. However, the types of information that effectively recommend a product are not entirely understood. This study focuses on how the use of electronic word-of-mouth (eWOM) facilitates the development of trust in the systems/users using a system and therefore facilitates product-purchasing behavior. 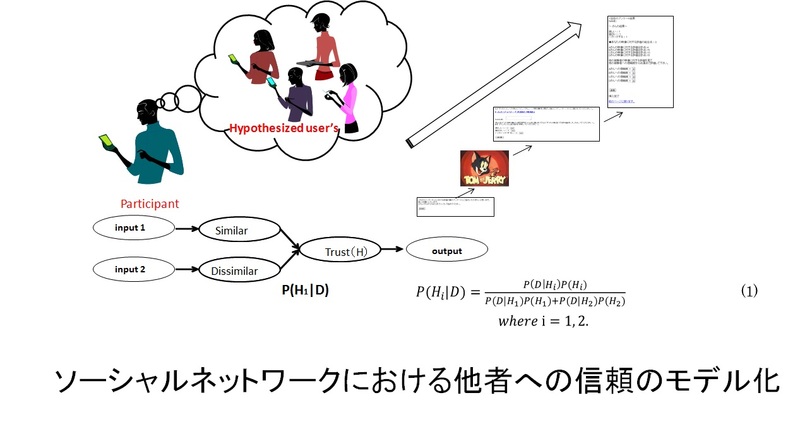 Currently, we have conducted simulation studies using probabilistic models (Bayesian models) of trust development and behavior in network groups. 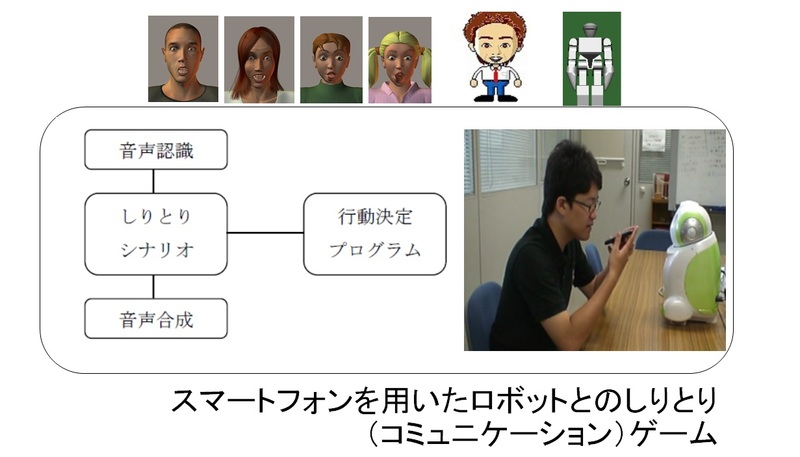 Experimental studies have also been conducted focusing on how the types of eWOMs influence the development of trust in an online task. Artificial intelligence (AI) has produced many applications in various fields such as education and entertainment. One classical example is the expert systems used in medical contexts for making judgments about diagnoses, e.g., MYCIN (Shortliffe, 1977). Rule-based systems are commonly used to support human cognition and social decision-making. In this study, we focus on how AI can support a jury's decision process in court. 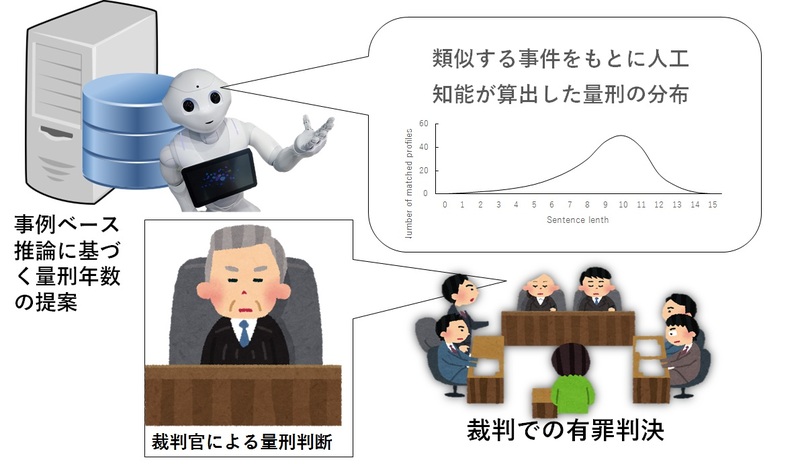 In Japan, the Ministry of Justice has introduced a mixed jury system for criminal justice trials, where citizen judges discuss and make decisions about the verdict and decide the sentence length in criminal cases. In such cases, the citizen judges are allowed to see objective data from similar past cases, and therefore it is possible to use the existing database to support the decision-making process. In this new project, in collaboration with psychology experts and computer scientists, we investigate how a juror’s decision can be supported by AI technology that provides data regarding sentences prior to decision-making.